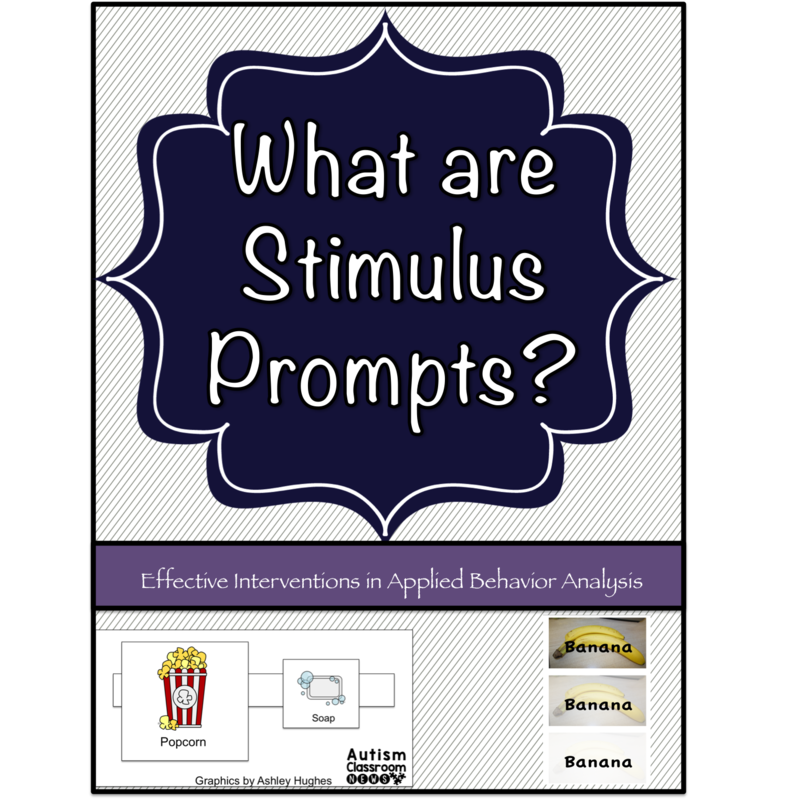 What Are Stimulus Prompts? Or If I Don’t Tell Them the Answer, What Other Kinds of Prompts Are There? Stimulus prompts are any type of prompt in which we change the materials in a way to help the learner give the correct response. Any time we change the way the materials look, how we put them out on the table, or anything about them, we are using a stimulus prompt. Remember that all prompts should be faded over time, so when we use stimulus prompts we need to slowly change the materials back to how they will be presented in mastery. One of the most common types of stimulus prompts are positional prompts. 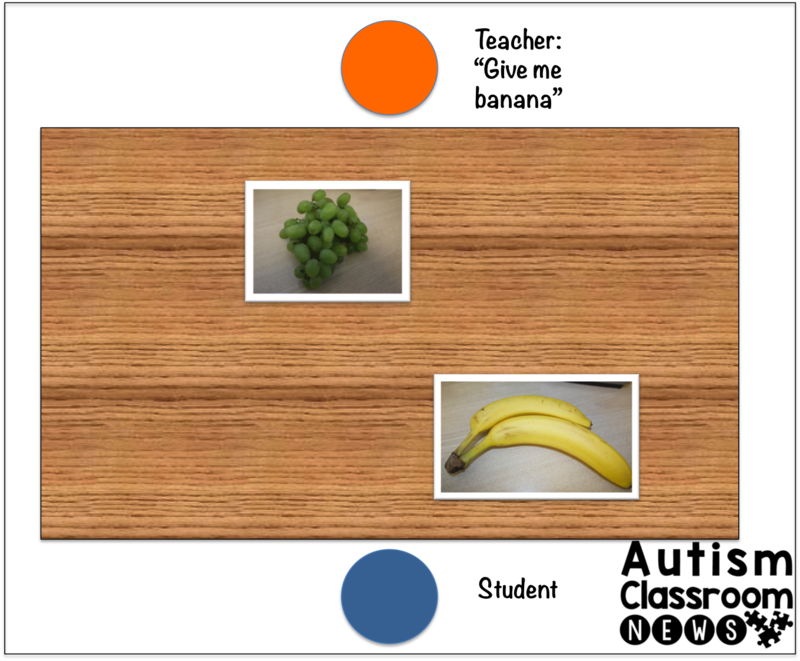 Positional prompts are when we put the materials down (or present them in a certain order) in a way that gives away the answer. 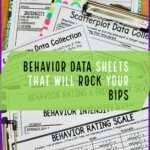 Earlier in this series, I talked about how materials can give away the answers–see the post HERE. 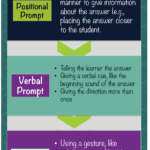 Positional prompts, if used without realizing it, are one way to do that. One example would be if I put the correct answer on the table closer to the learner than the wrong choice. If I was using this as a positional prompt intentionally, over time I would need to move them so they are the same distance from the learner over the course of the learning before I could say the skill was mastered. 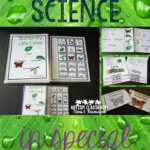 There are several ways you can change the materials themselves to cue the student about the right answer. One way is to make the card or material with the right answer bigger than the wrong choice. The PECS method of teaching communication sometimes uses this approach. 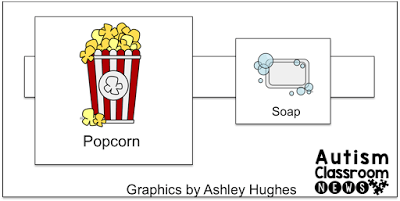 I want the student to pick the picture of popcorn because I know that’s what he wants and the soap (the other picture represented) is not. 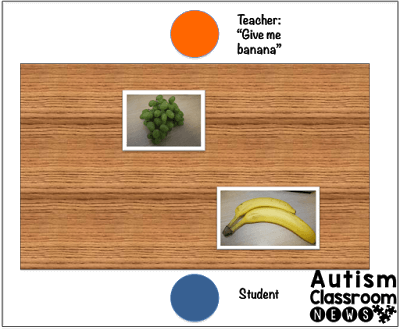 In this situation we are trying to teach the communicator to discriminate between the two pictures to get the thing they want by exchanging the correct picture. To help him pick the right picture, I make the picture of the popcorn bigger than the picture of the soap. This makes it more likely that he will pick the bigger picture. Over time I have to fade that out by slowly making the cards the same size again…because someday I may want him to communicate he want juice and because the popcorn picture is bigger, he would still ask for popcorn. 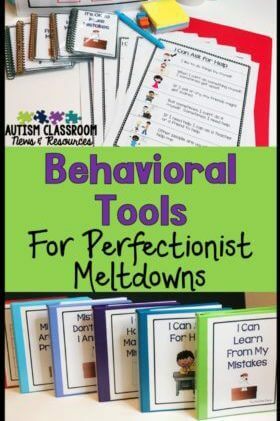 In other words, I want him to learn the right discrimination in the long term–I want him to learn the picture of popcorn gets him popcorn and the picture of soap does not….I DON’T want him to learn, the big picture gets me popcorn but the small picture gets me something I don’t like. Fading is the most critical element in using prompts. 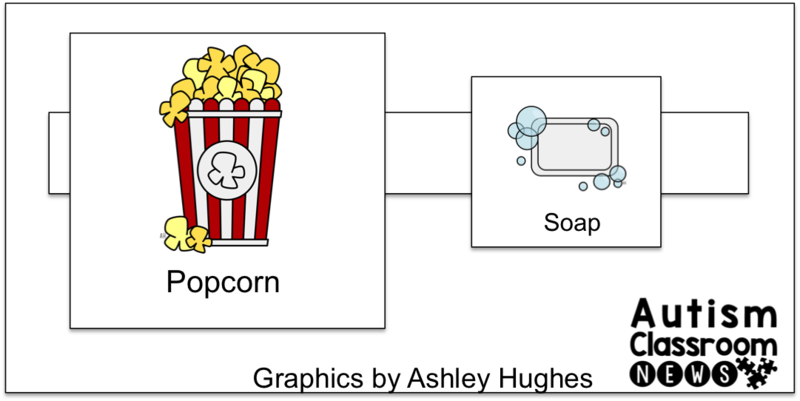 Another common example would be if the picture of the popcorn is in color and the picture of the soap is black and white. We could also add a color border to the right answer. We could put a color dot on the top corner of the correct card. We could ….we could…we could… The options for these types of prompts ends only with your imagination. However, you would want to make sure that whatever you used is easy to fade. For instance, it’s easy to make something smaller and to fade out a color by making the dot lighter or smaller. Because remember that prompts are like training wheels…we have to fade them out. Finally, some of the most ingenious ways to use stimulus prompts is when your stimulus material gives actual information about the answer and then you fade it out. Below is a common example. 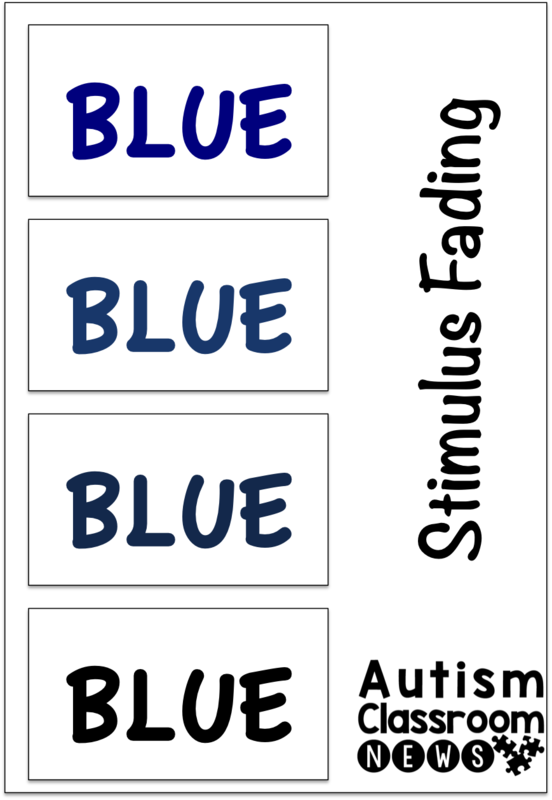 You teach a student to identify the color blue. 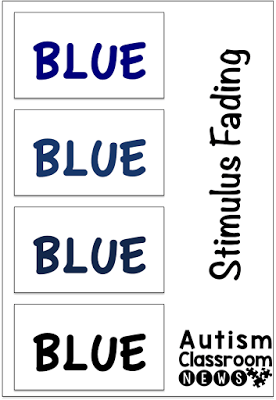 When you want to teach the child to read the color blue, you write the color in blue. Then you slowly fade the word to black over time. Another good example is when you have a learner who can identify a picture of something and you want to teach him or her to read the name of the item. You superimpose the word over the picture and then fade out the picture and leave the word, like you see below. Those of you who use TouchMath and TouchMoney–they both use stimulus prompts. 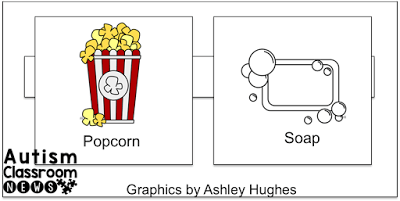 The touchpoints for both are a stimulus that the students learn to count. Over time we need to fade those out so that she can use whatever money we give her or add whatever numbers are on the sheet. 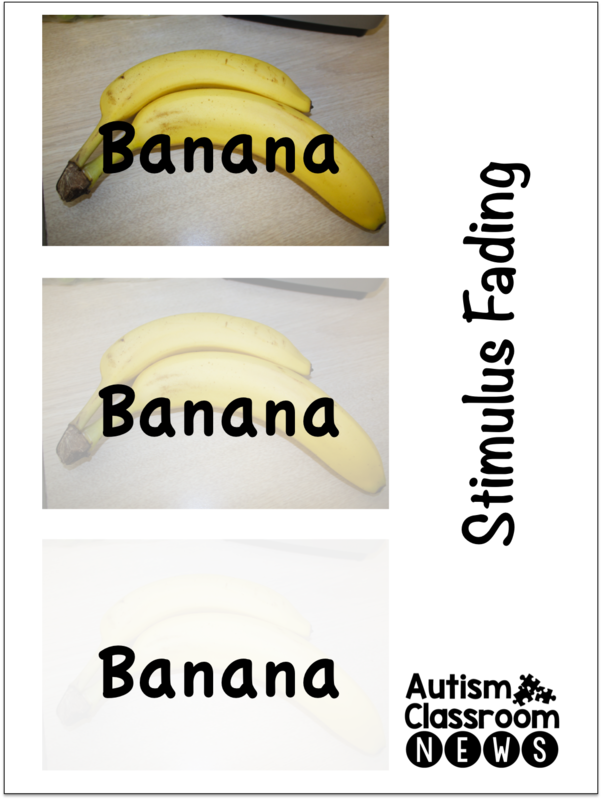 So, those are the primary types of stimulus prompting and they are often used in discrete trials, particularly for reading and language programs. However, you can also use them for math, like TouchMath by superimposing counters upon math problems. Stimulus prompts have some good things and some real drawbacks to them, especially if we don’t use them properly. And that’s what I’m going to talk about next time. 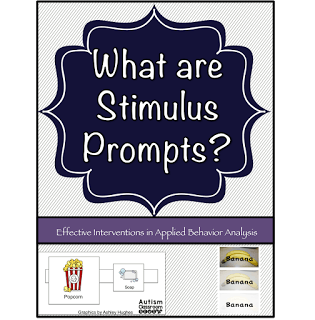 How have you used stimulus prompts in your teaching? Please share below! So neat to find someone else connected to Nova. I just finished the MS in developmental disabilities with the concentration in ABA. Thanks for helping me better understand stimulus prompts. Glad you found me. I actually used to work for MSI and started the ABA program there. Congrats on finishing it!